Don’t underestimate your possibilities. They’re greater than ever! – It’s not like it was back in the 1990’s; you just can’t make money like that anymore. – I’ve never been able to take my business past being a start-up. – I know that the market is saturated for my type of work, so I can’t make much money. I don’t want to price my work any higher, or I won’t make any sales. – I get frightened that I’m not thinking the right way, or making the right choices, and so I freeze and do nothing. There is very good news, however. Is the market shrinking? No. Are opportunities going away? No way. 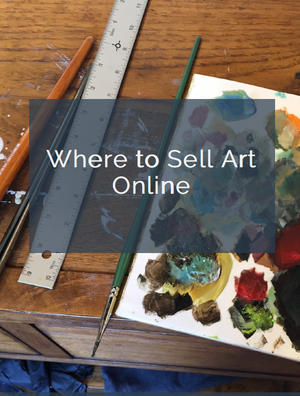 In fact, with today’s global marketplace, there are more possibilities than ever to sell your work and make money as an artist. The key is to understand those potential opportunities so that you can unlock them and position yourself. Here’s an example. This morning, I spoke with a husband and wife team who create quirky and very appealing metal sculpture. Not long ago, an interior designer commissioned multiple pieces from them for a restaurant in the Midwest. Then, another piece sold to one of their local restaurants. Their work is perfect for such an environment. We discussed the possibility of approaching interior designers and architects who specialize in this huge industry, which holds so much promise for their work. The restaurant industry is an example of a vertical market. Other verticals include the pet industry, bridal industry, healthcare industry, fashion industry – the list goes on and on. Is your work a good fit for one or more vertical markets, which you could take advantage of? Maybe. Think about it. Understanding and targeting markets works to narrow your focus, but it also broadens your possibilities. Choose one or more markets to approach, and do your research on them. How do they work, how do they buy, and where? Trade shows exist for almost every market out there. Sales reps call on many of them. Corporate art consultants place artwork with customers in these fields. You personally can create a campaign and approach potential buyers yourself. You could reach prospects in your chosen industry through email, social media, direct mail, phone calls, articles in trade journals, in-person calls, referrals – get the picture? The world of marketing and sellingl to almost anyone is alive and well. In fact, it’s thriving. Your potential to sell and succeed is only limited by your own imagination. As you gain knowledge of what markets exist, how you could fit into them, and how to approach them, you can position yourself to get traction and begin creating opportunities for yourself to sell your work. Yes, it’s about creating your own business. You choose your customers, how you will sell, and what you will sell. There is great empowerment in this. As an entrepreneur, you have the ability to fine tune your own strategies to reach many different potential markets. Because your business is small, you have the flexibility to make adjustments quickly and take advantage of opportunities that come up. Don’t limit yourself by engaging in self-defeating thoughts. Your potential is as large as you can imagine. Floral photo courtesy of Hazel Berger. See more of her work here. Thanks for the article. Good ideas and encouragement! Great Post! There always has been and always will be new horizons and frontiers, its up to us to find them. So many opportunities exist today that could not even be imagined yesterday. Thanks for both your comments. I no longer maintain an active studio, but I remember times that it was hard to see opportunities. The artists I know who are the most successful have stayed persistent and always looked for the next positive outcome. Great article, have pinned it for future reference. We have been making & selling finished porcelain jewelry for many years. The finished jewelry market (read competition) keeps growing, after a jewelry designer purchased some of our components for her designs, a light bulb went off. We recently launched a line of jewelry components, the initial response has been extremely positive, we are now collaborating with other artisans by supplying one of a kind components for their unique designs. These collaborations include special orders, components designed to their specifications. We are learning so much from your articles, thank you for providing this valuable service. Thanks, Carole. It’s great to hear that you have tapped this market. Artists (and everybody else) needs to create systems to earn money in their small businesses, and it looks like you have found a solution you can provide for others in your industry.